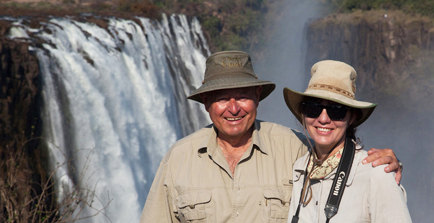 We – Derek & Sarah Solomon – are long-time tour and safari operators and the Kuyimba Trading name evolved from our time based in South Luangwa National Park, Zambia. We now live in Raptor’s View, a small wildlife estate on the edge of Hoedspruit, a little town in the heart of South Africa’s bushveld, only a short distance from the Kruger National Park. 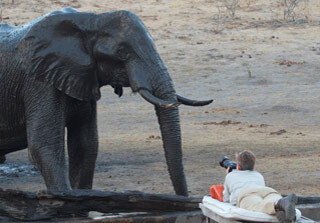 We have been leading special interest safaris in Southern Africa for over 25 years. Originally based in Harare in Zimbabwe, we worked as a team taking safaris into remote destinations around Zimbabwe and eventually Botswana, Mozambique, Namibia and South Africa. 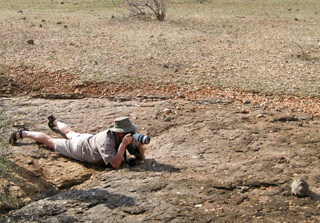 Then in 2003 we moved up to Zambia’s South Luangwa National Park where Derek worked for five years as a specialist guide for The Bushcamp Company and Sarah became involved in various community projects. In addition to leading a few select special groups we also spend much time planning individual itineraries for private travellers to hand-picked destinations in southern Africa. 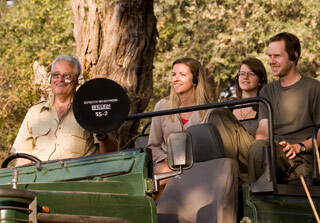 Although we are a small operation we pride ourselves on our efficiency and attention to detail – making your special African safari a reality!